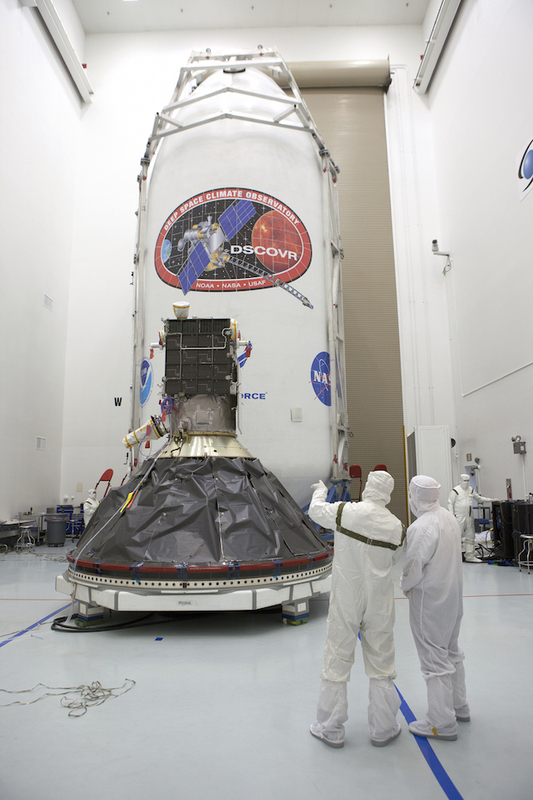 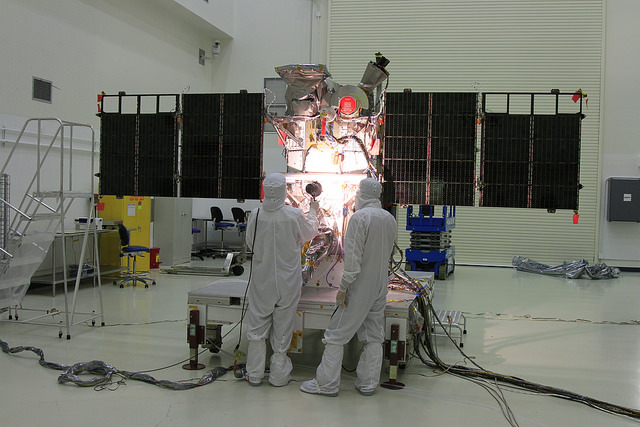 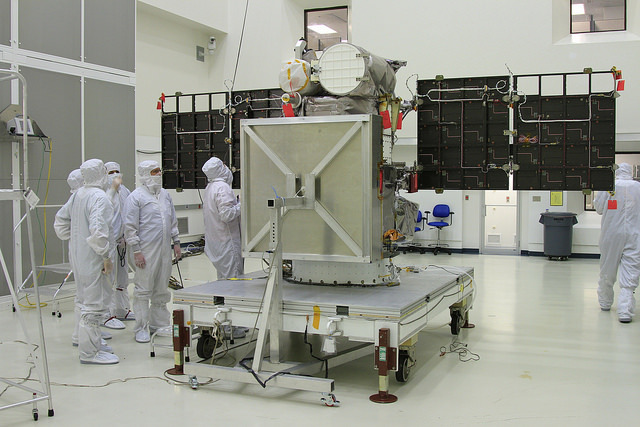 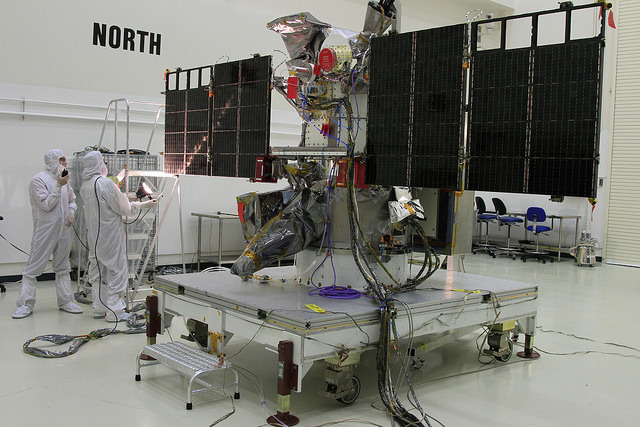 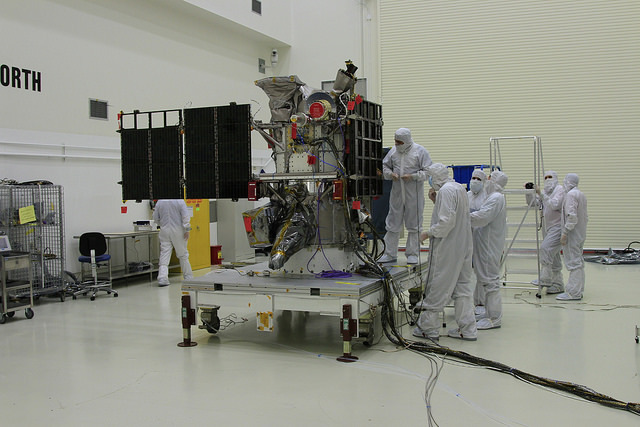 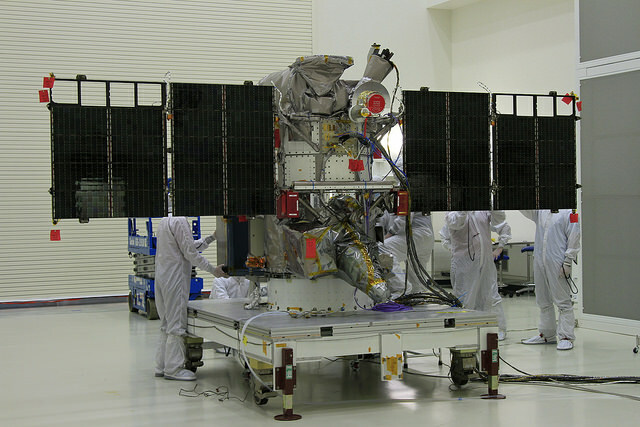 Engineers worked inside a climate-controlled clean room for two months to ready NOAA’s new space weather observatory for launch aboard a SpaceX Falcon 9 rocket. 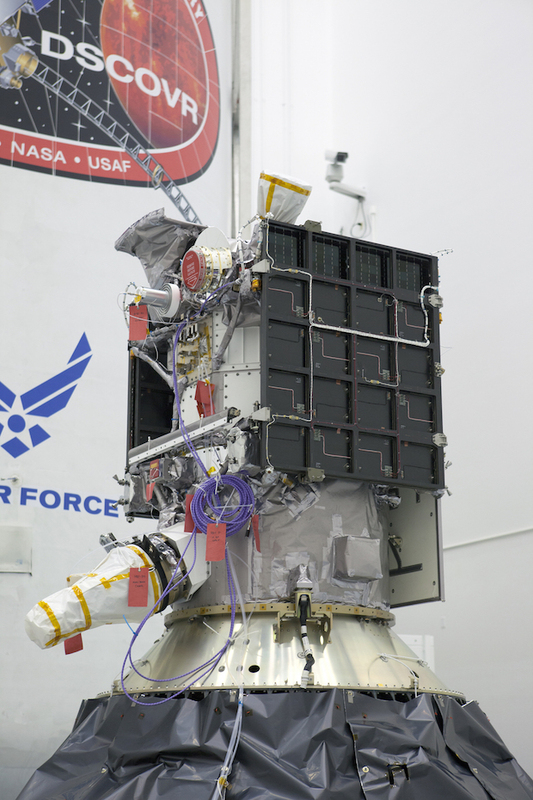 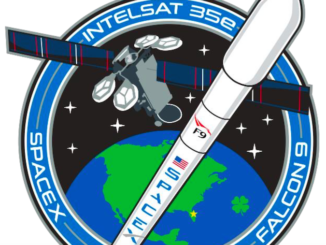 The Deep Space Climate Observatory, equipped to detect incoming solar storms and give scientists a new view of Earth’s climate, will blast off aboard a Falcon 9 rocket from Cape Canaveral. 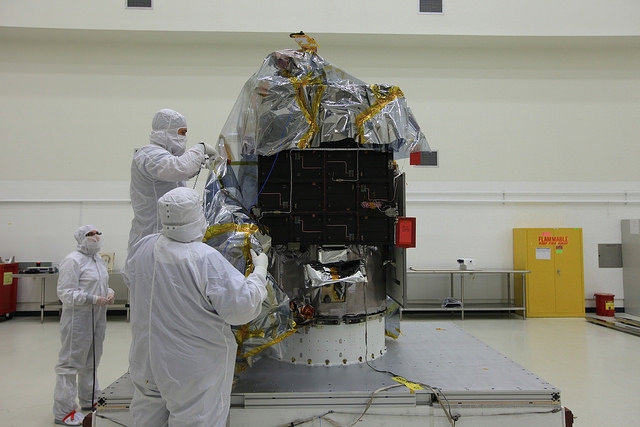 The refrigerator-sized satellite arrived at the Astrotech spacecraft processing facility in November after a road trip from NASA’s Goddard Space Flight Center in Maryland. 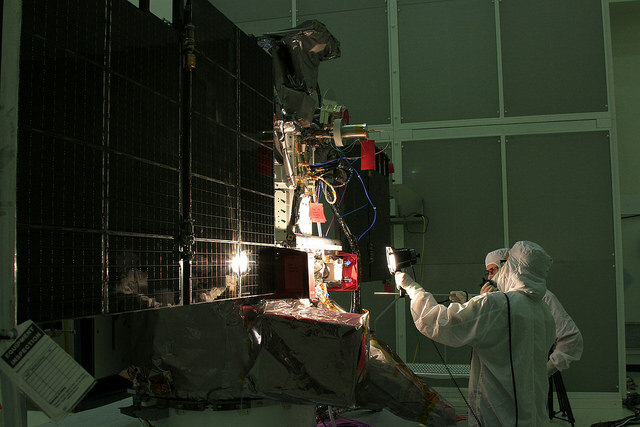 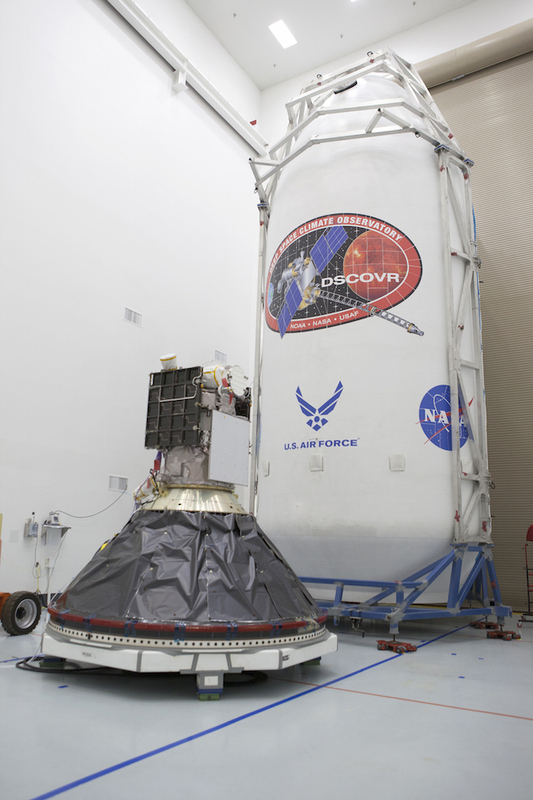 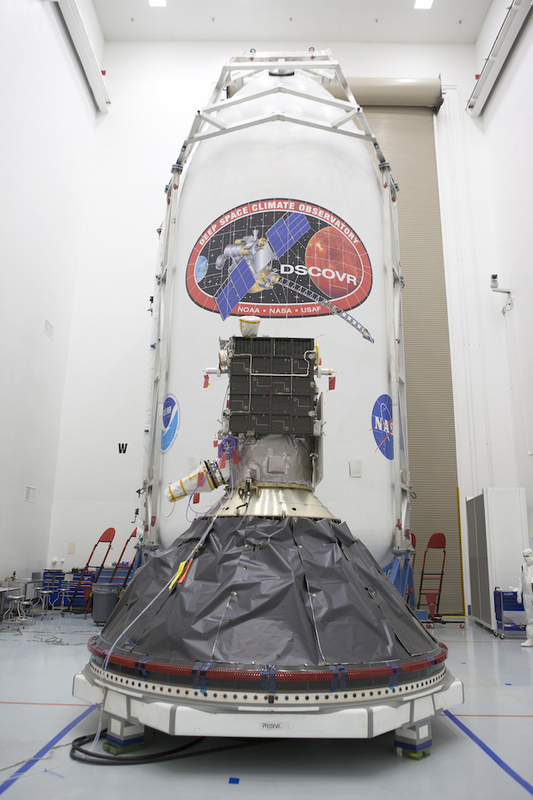 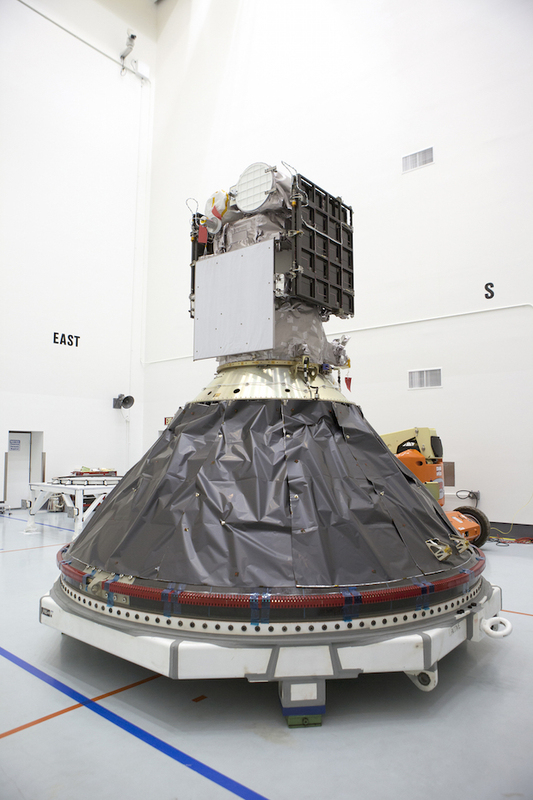 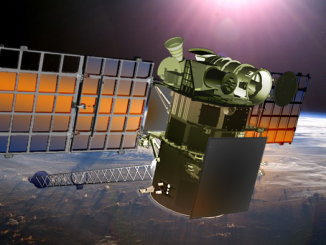 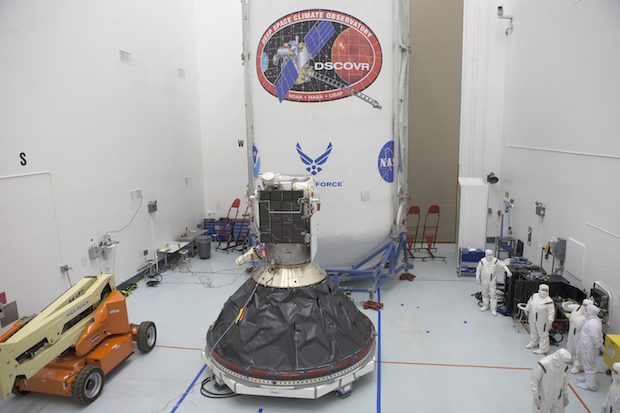 DSCOVR was originally conceived in the late 1990s by former Vice President Al Gore, but the mission was shelved and the spacecraft placed in storage until the project received a new lease on life. 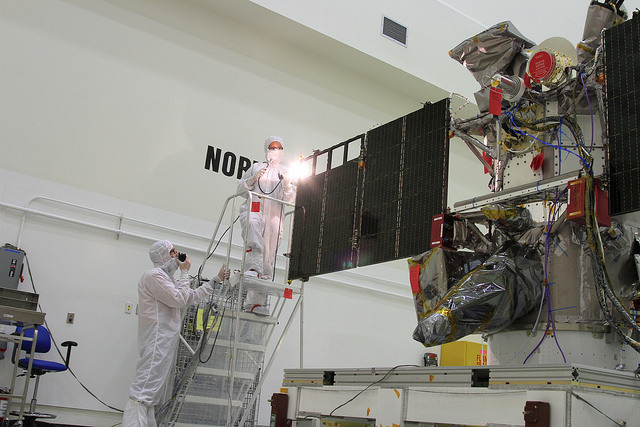 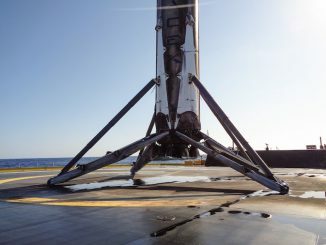 The photos below show the satellite being unwrapped after shipment to Florida, a light test to check out its power-generating solar arrays, and preparations to be enclosed inside the Falcon 9 rocket’s 43-foot-tall two-piece payload fairing.